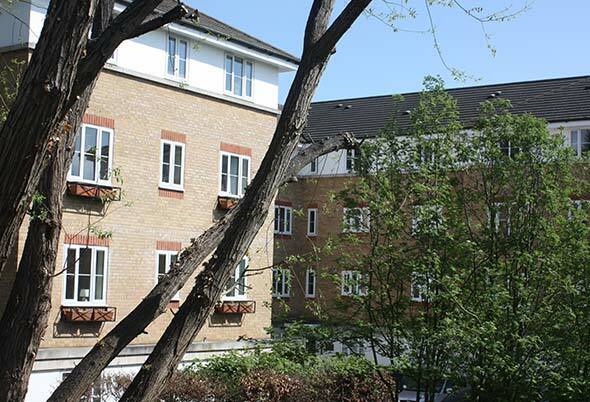 As an approved “Priority 1 service supplier”, Asset Fineline have worked with Vinci Facilities on a number of Peabody projects throughout London to provide solutions to a variety of challenging fenestration situations. 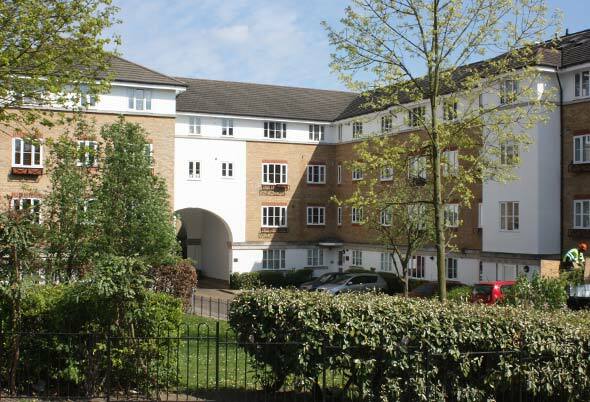 They collectively demonstrate experience, flexibility and an aptitude to help the client achieve positive outcomes to a wide variety of needs and situations. 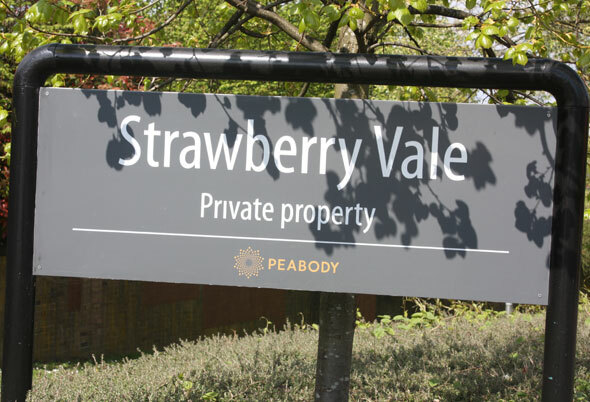 Strawberry Vale was the first estate to be acquired by Peabody under the Estate Renewal Challenge Fund Programme. 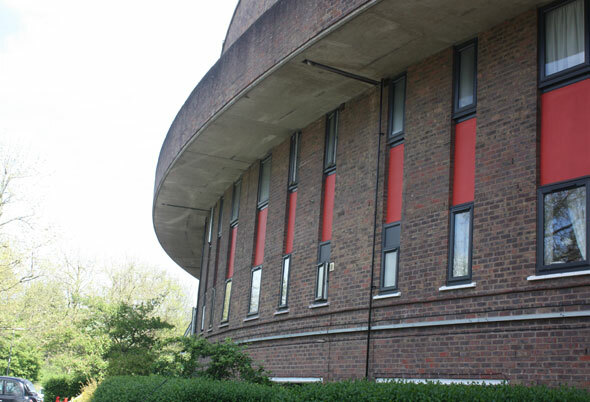 It was built in the 1980s and transferred to Peabody in 1998. 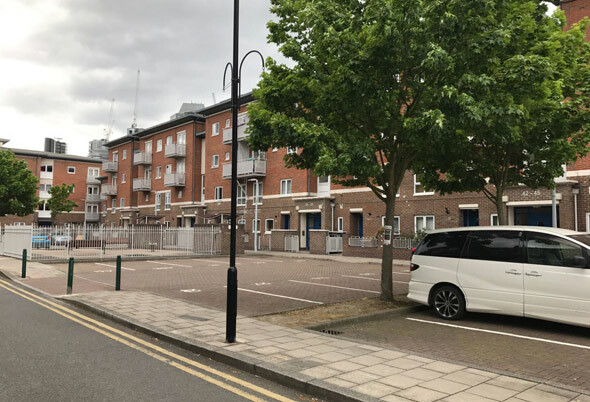 Refurbishing an iconic curved shaped building surrounding a number of individual houses presented several challenges for the Asset Fineline team which resulted in a wide range of product solutions included in the finished proposals. 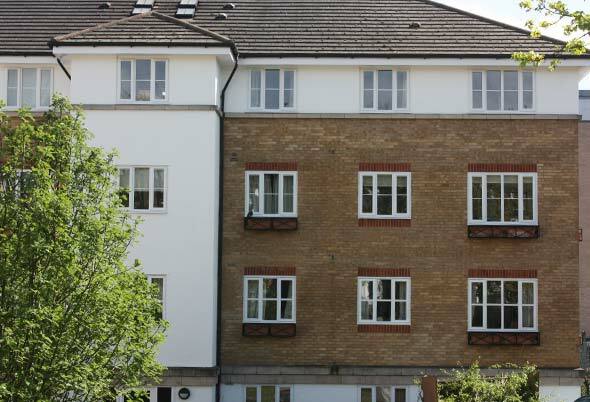 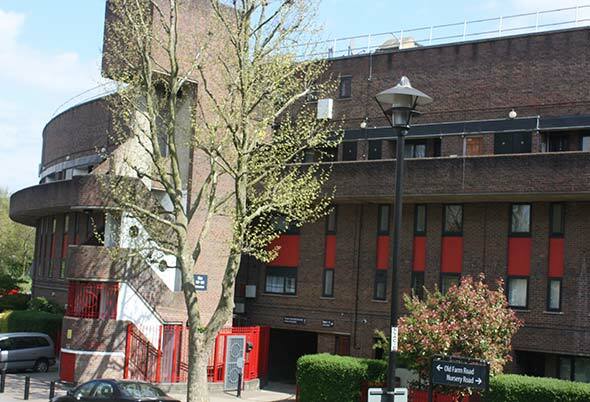 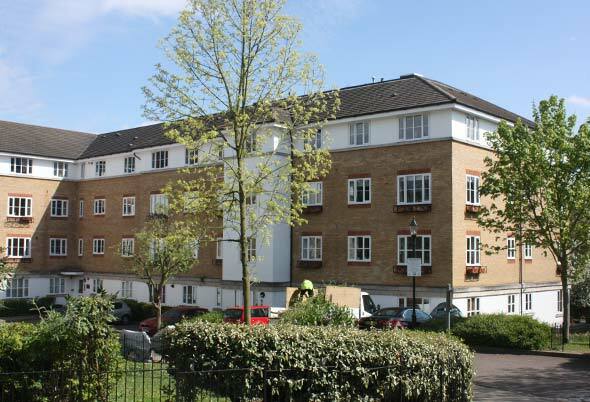 Grey PVCu frames were installed where steel Critall windows were removed to maintain the architectural style on 169 flats and maisonettes. 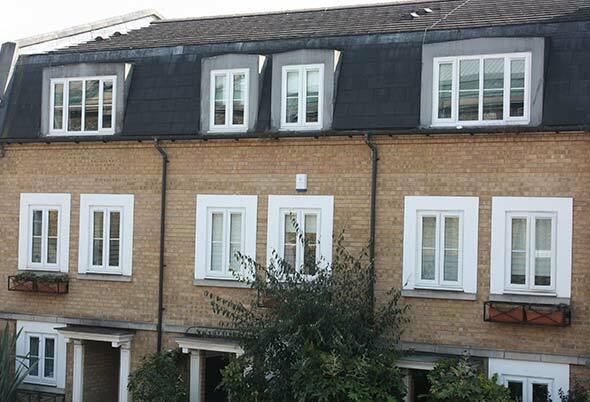 Particular care was required as the single glazed steel windows also incorporated secondary double glazing and all this was removed and trimmed to a very high quality level. 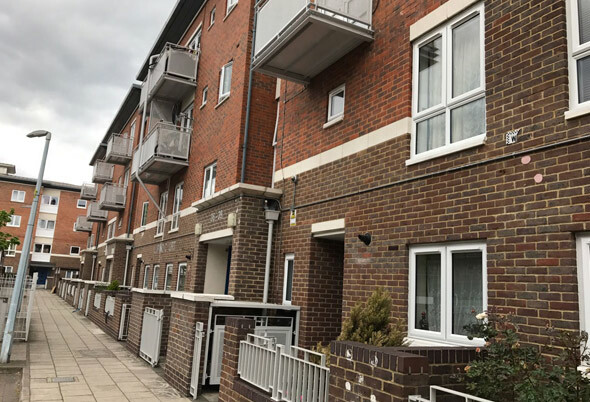 A tricky asbestos issue was discovered and proactively successfully managed to avoid any difficulties for residents or delay to the programme. 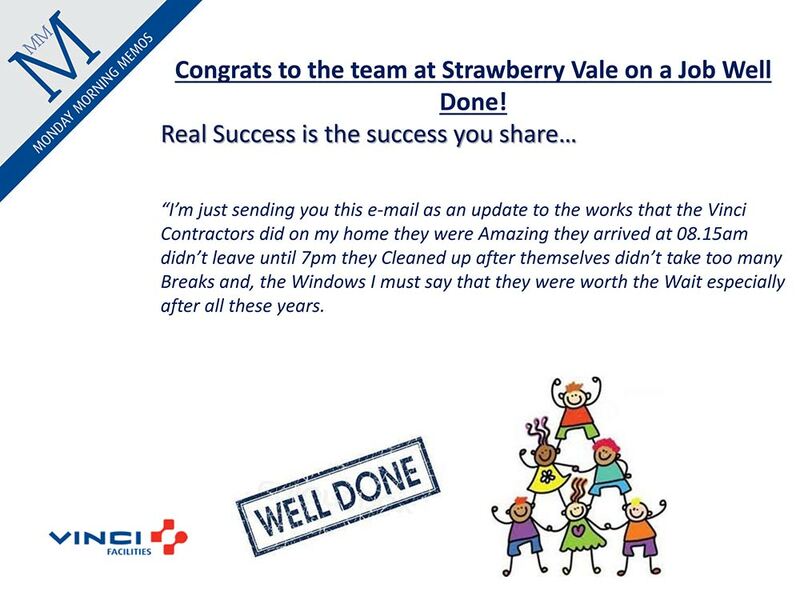 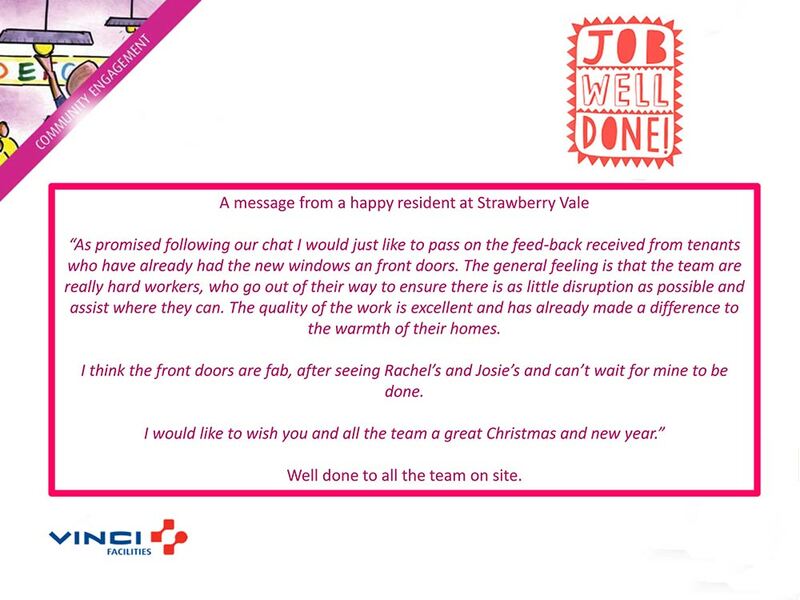 This was achieved by undertaking a controlled pilot installation where best practice was proved and then documented by a collaborative approach with Vinci Facilities coming to our offices and producing a single page daily task sheet which accurately reflected the on-site working practices agreed. 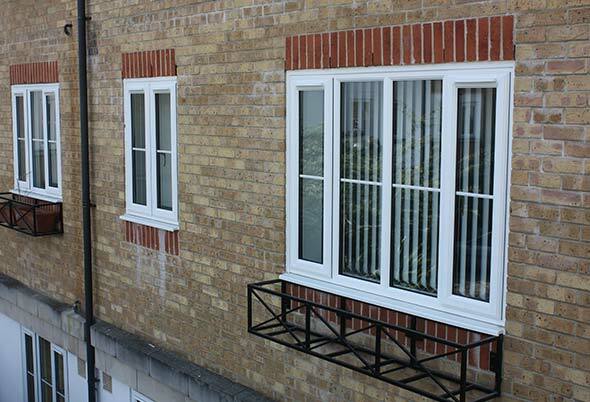 Woodgrain PVCu frames replaced those old rotten timber frames in the 74 houses which were refurbished. 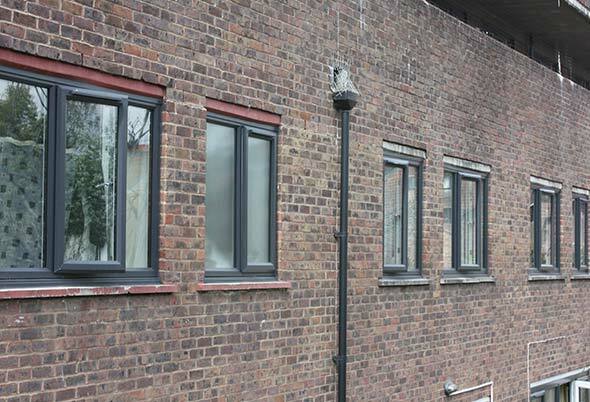 The Gas and electricity cabinets at the front of the houses were covered utilising a stable door design. 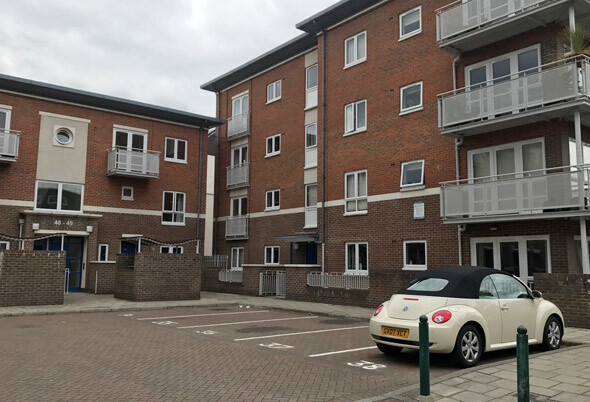 Matching grey fascia and soffit for the flats and maisonnettes completed the maintenance free aspect of the scheme. 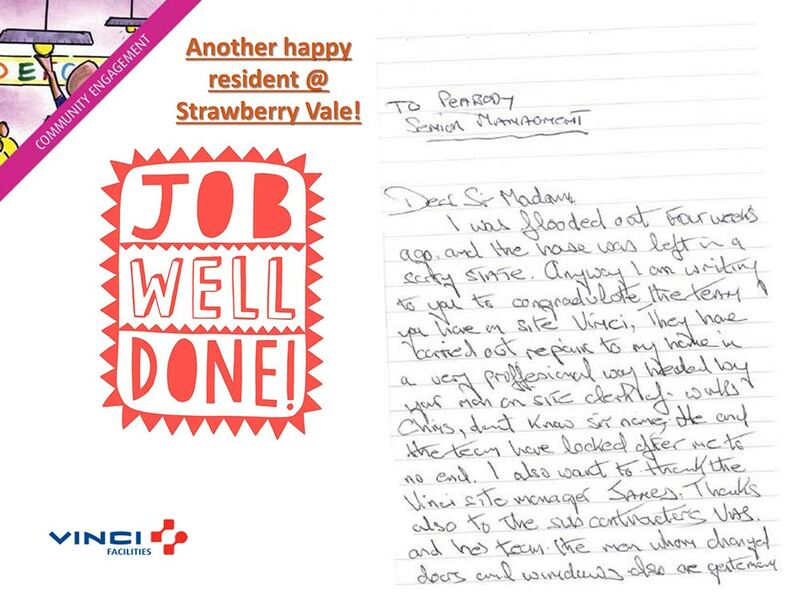 Contracts Manager for Vinci Facilities. 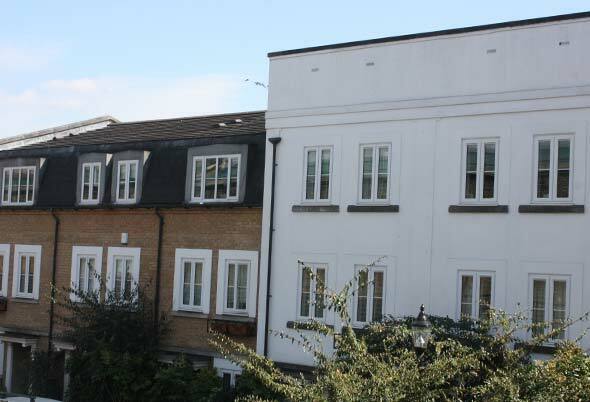 This new build estate on Lambeth Walk contains a mixture of general needs and shared ownership flats. 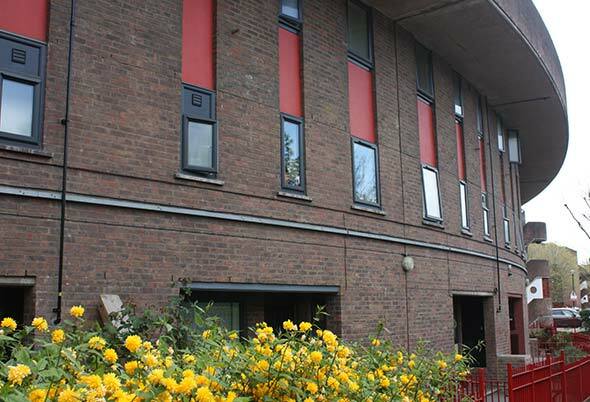 It was completed in 2002 and required replacement windows because the existing were timber which were both rotten but also did not meet present Building Regulations. 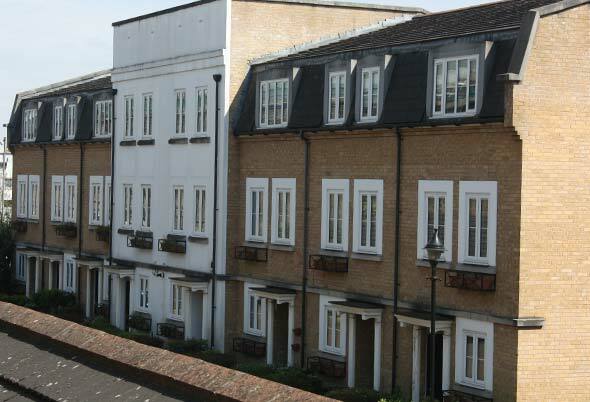 The original timber windows had been painted blue but the decision was made by the residents in conjunction with Peabody to replace with white PVCu windows. 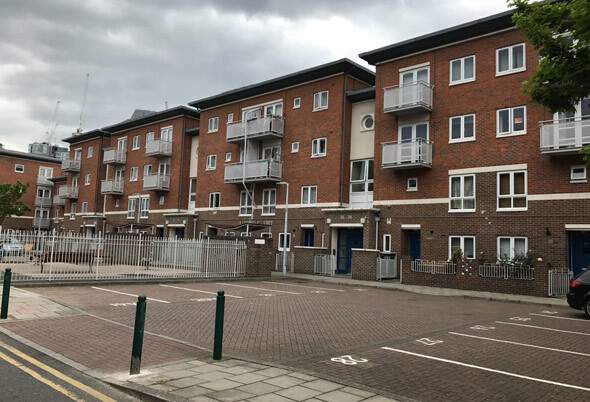 After a successful pilot flat installation the programme was commenced using installation staff previously used by Asset Fineline on other Peabody projects for Vinci facilities because they had received such good reviews from residents. 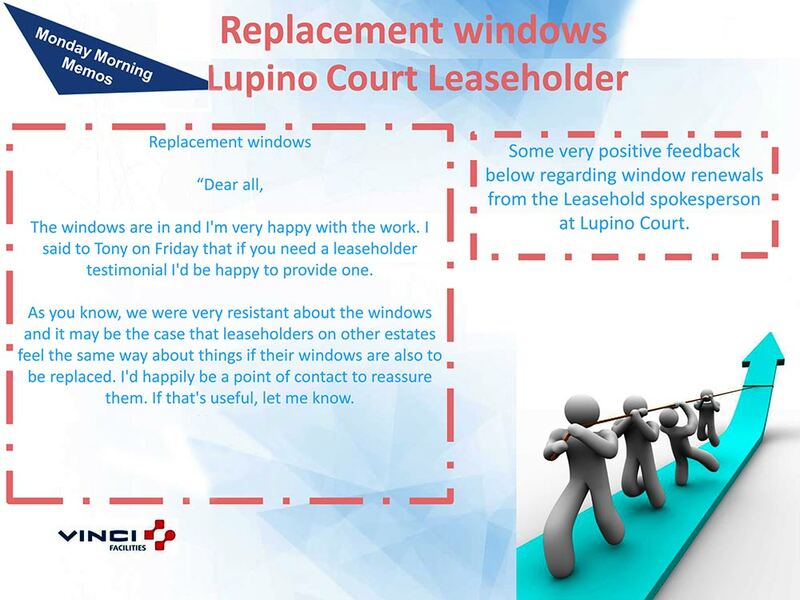 The specification included a number of properties installed with Teleflex gearing to assist the residents who were less able to use the windows using conventional handles. 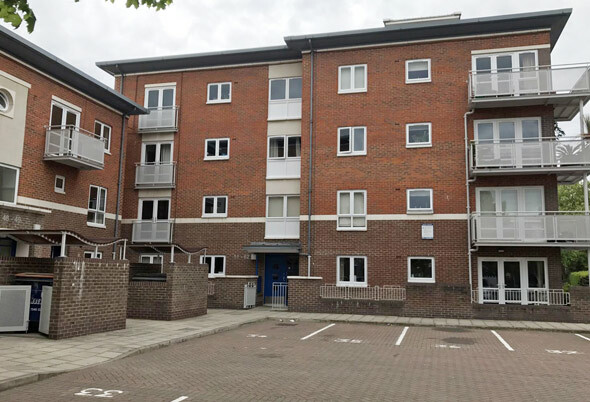 To keep the project costs in line with budget, Asset Fineline worked with Vinci to keep the access costs as low as possible whilst maintaining safe working practices by using a variety of access platform methods. 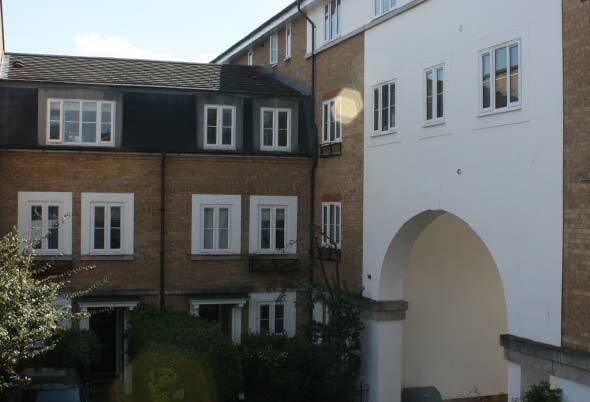 A very select gated development. 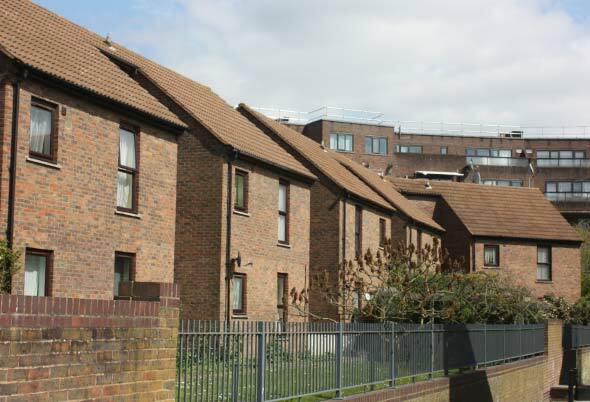 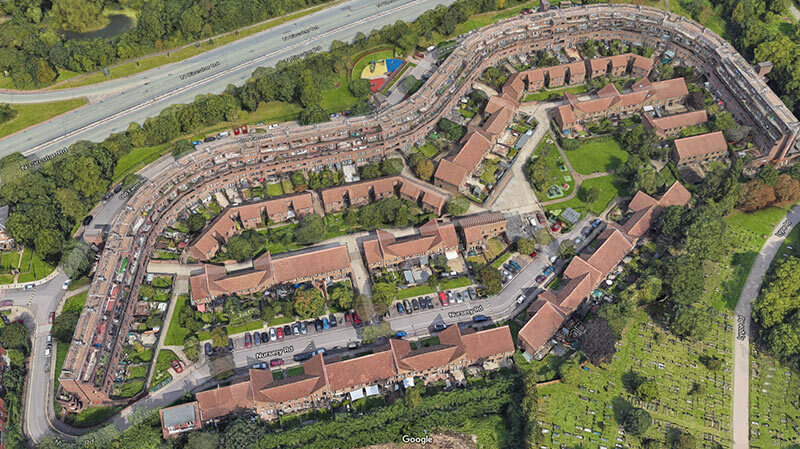 Three blocks of shared ownership flats, which were acquired through a section 106 agreement. 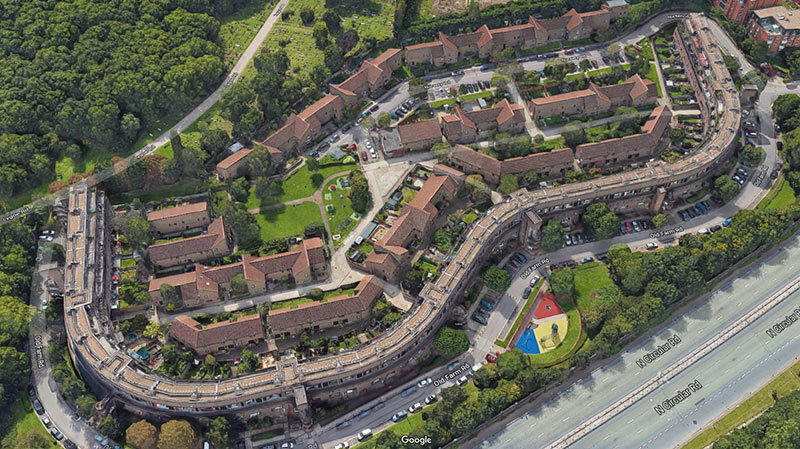 These are part of a larger private estate, which was built by St George’s Plc in 1998. 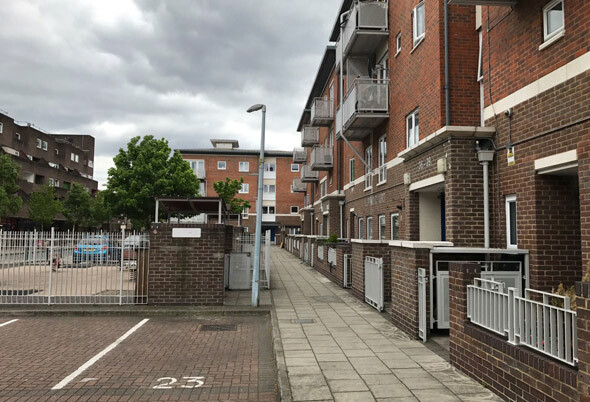 This project called for an extensive leaseholder consultation process which required understanding and good communication skills for those participating in the programme of works undertaken including the requirement to attend face to face meetings with residents to answer questions and allay any concerns relating to the programme and product to be installed. 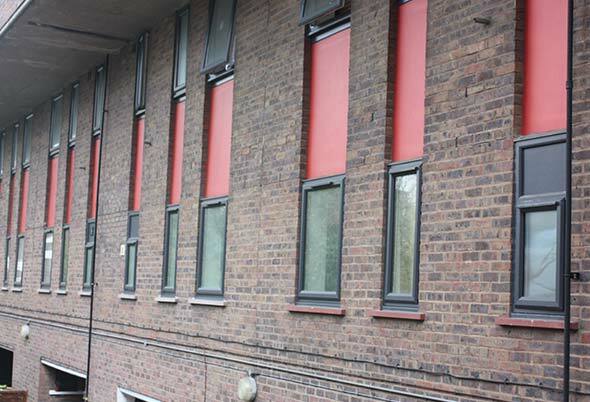 Special external trim details were agreed with the client to ensure that the aesthetic and visual appearance met with expectations of those responsible for the planning and approval process.